With the advancement of 3D printing technology and the continuous productivity increases in CAD/CAM, the digital dental is booming and being quickly adopted. 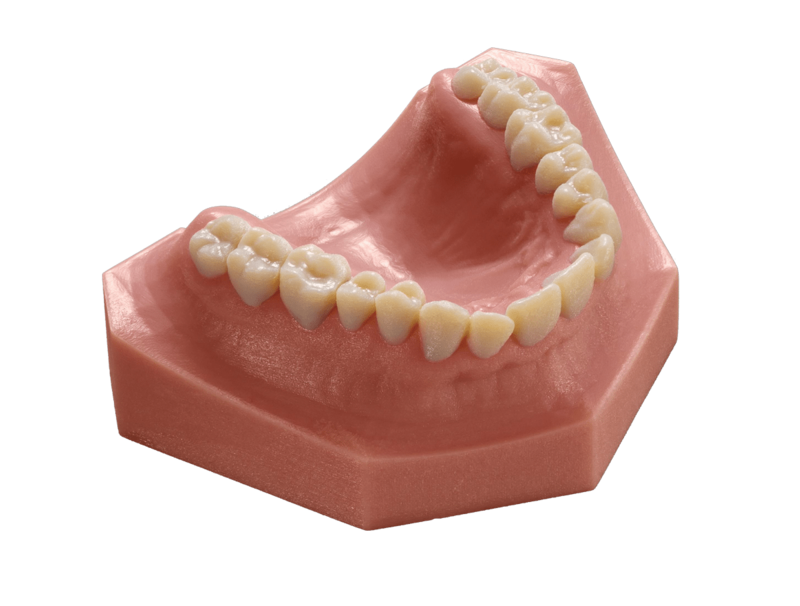 Using the Stratasys Objet 3D Printer series, ScanSystems is bringing a new set of opportunities to dental labs in an effort to increase productivity and expand their customer base. ScanSystems brings a market-leading dental scanner to the table, the perfect instrument for 3D scanning gypsum models. The solution is positioned as an entirely new workflow approach that allows dental labs to virtually assemble teeth and design temporaries from 3D scans of traditional teeth models- eliminating the need for a physical model. Dentists can now be provided with inexpensive temporaries that lead to an easier secure for the follow-on order of the final crown. Digital methods are becoming a defining factor for success for businesses in the dental industry; labs that embrace this challenge are the ones to move ahead. Selecting the right 3D printing system is now an imperative business decision for a dental lab to make. As ScanSystems provides top quality dental solutions, they’re in a prime position to grow their business and help labs tackle this challenge. An additional incentive was that ScanSystems needed to streamline its business and required a 3D printing system that could enable a more efficient throughput without compromising on its high standards and without costly expansion of their staff and facilities. The team at ScanSystems writes, “The Objet Eden260V 3D Printing system provided the ideal solution for ScanSystems, as it enabled us to improve the quality of our dental restoration manufacturing and placement. The 3D Printing system enables us to rapidly manufacture digital stone models- that guarantee dentists a high level of precision in the placement of dental restorations. This is very difficult to achieve using traditional freehand techniques.” Their technicians now design models for an extensive range of indications including models directly from the company’s own scans and gypsum scans. This enables ScanSystems to produce lab models locally and among its dental lab partners- bypassing conventional manufacturing procedures that were inefficient and expensive. With the help of the Objet Eden260V 3D Printer from Stratasys, models can be printed with amazingly accurate details and an outstanding surface finish. ScanSystems uses this technology to ensure a high quality standard that is required by their team and dentists. ScanSystems previously had to reject or outsource some enquiries but now with Stratasys’ printing solutions, they can affirm production capability for every restoration order that is received.